CIRCA 1919 - 6th Division troops put on a machine gun demonstration. hd00:32CIRCA 1919 - US Army officers watch soldiers play football. 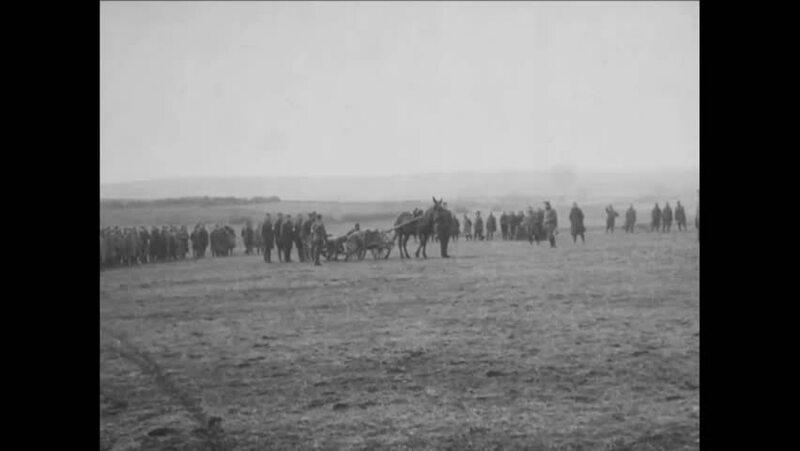 hd01:20CIRCA 1918 - Mounted troops and a military band march across a field in Maffrecourt in France in World War 1.
hd01:461910s: World War One cavalry soldiers practice horsemanship in 1917.
hd00:18South Africa 1960s: Cattle walk in field. People in tribal clothing. hd01:22CIRCA 1918 - Troops of the 28th Division march for review in France. hd01:42CIRCA 1919 - Recruits at Camp Meade march with full field packs. hd00:211950s: Views of bison grazing. 4k00:22Vietnam 1960s: Women plant rice in delta.